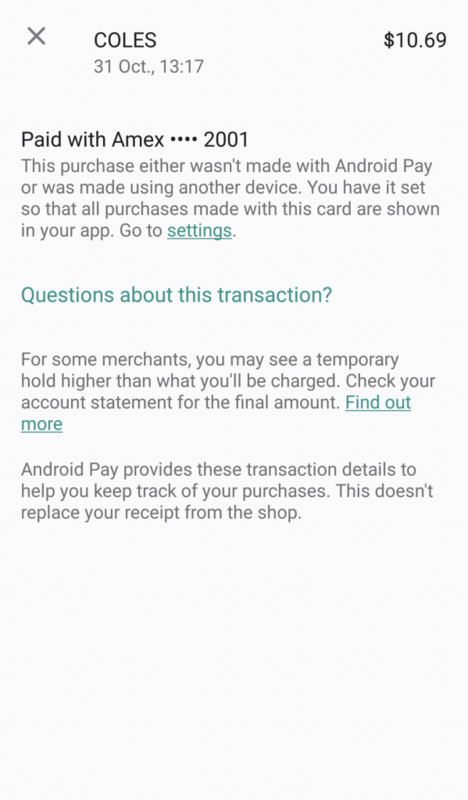 As a Halloween treat, it appears that Google has now added transaction notifications to Android Pay, for payments that weren’t made via Android Pay. A feature that has been around since day one for Samsung Pay and Apple Pay, and limited to cards issued by American Express, it’s a great way to keep an eye on when your card is being used. Whenever your card is used, be it Android Pay, using the plastic card instore, using it online or over the phone, or even using it on another device (Apple Watch, Android Wear watch, etc) – you’ll get a notification letting you know where, when and how much. In addition, the full history will be shown in your payment app, which makes for a handy mini statement. You don’t even need the app from your bank installed! 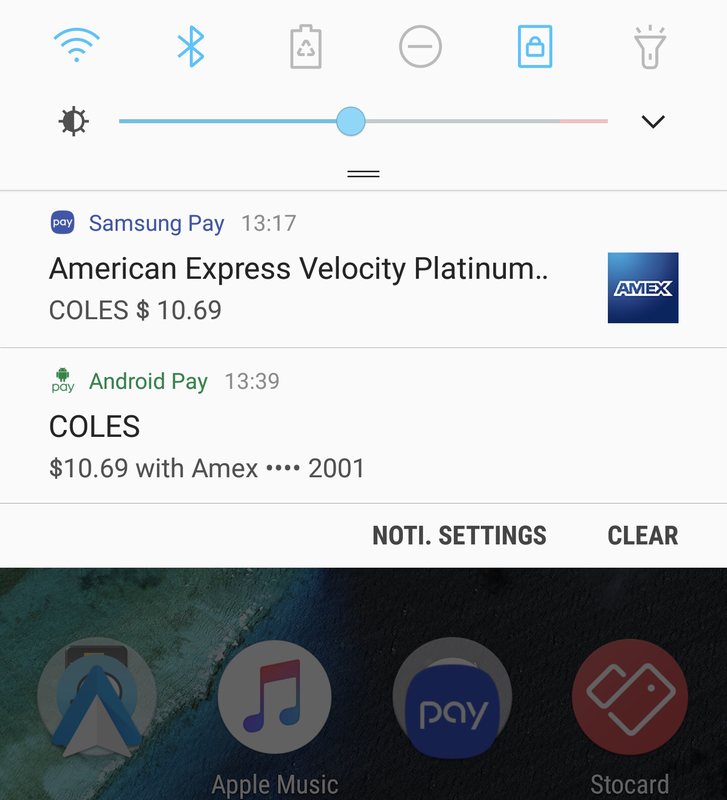 As you can see in the screenshot below, it seems that Google are still working on it considering that the Samsung Pay notification came in at the correct time, whereas the Android Pay notification was a little more delayed. 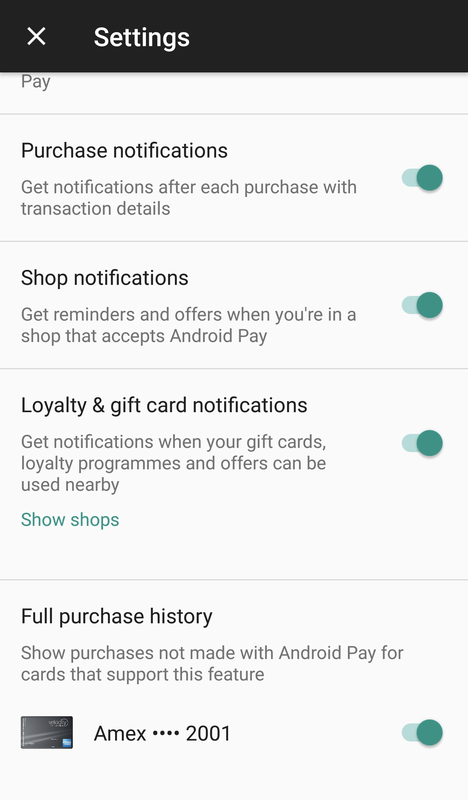 This feature appears to be enabled by default, but you can disable it by heading into Android Pay settings, and turning off ‘Full purchase history’ for your card.